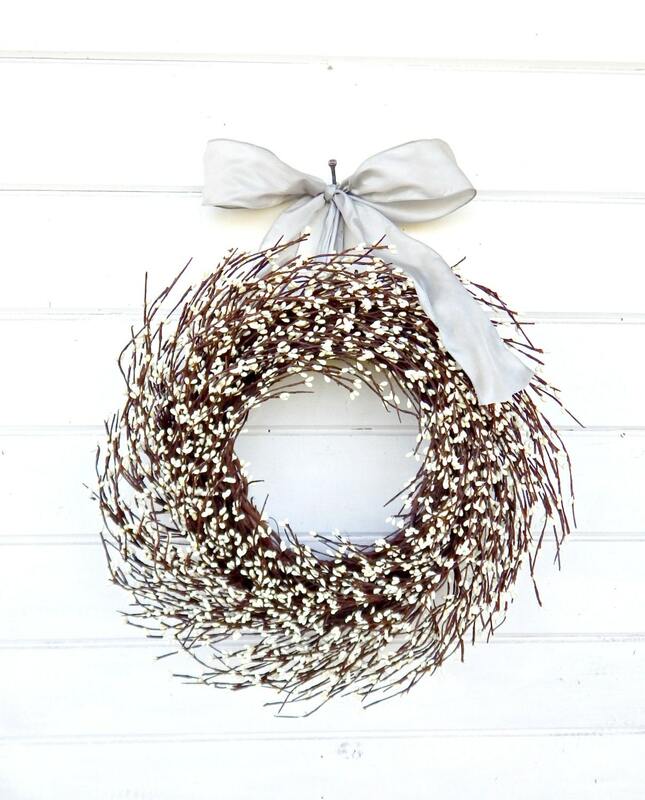 GRAY & ANTIQUE WHITE Wreath! A UNIQUE Scented Wreath! This Rustic Berry Wreath hangs from a Satin Ribbon, packed full of Antique White Pip berries and Scented with your favorite Scented Spray.....Change the Ribbon and use this Wreath all Year Long! Beautiful and well constructed ! 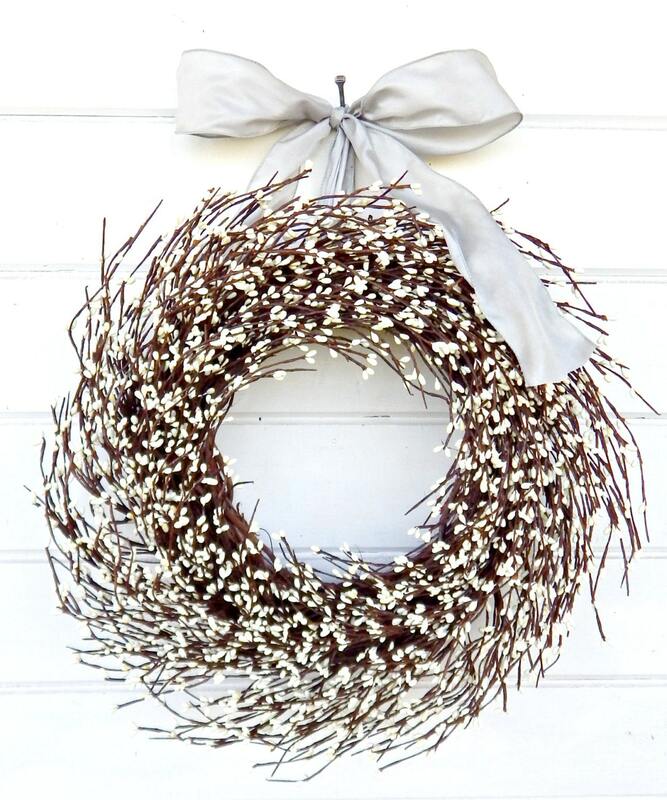 I love this wreath - it is so unusual, and great for winter. Very understated and has that quiet, restrained, and cool appearance that a winter landscape has. 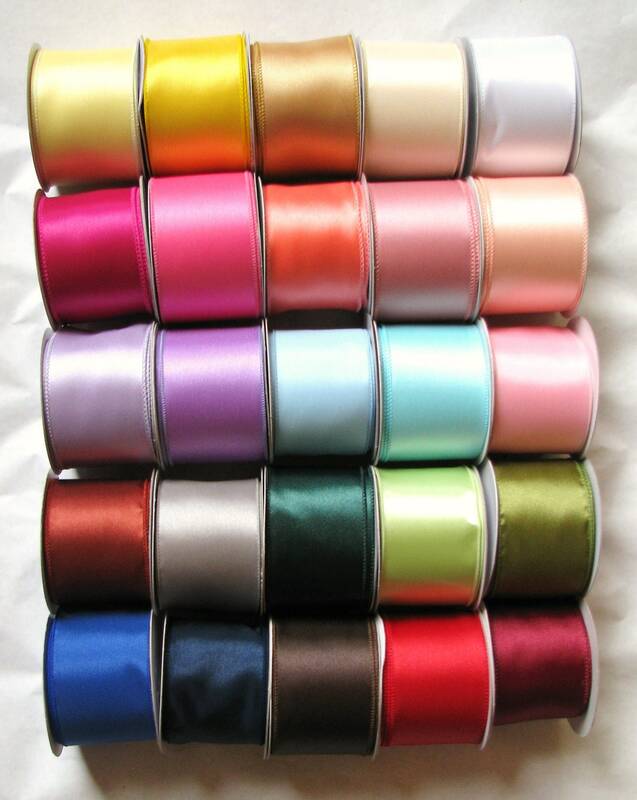 Perfect size, looks and smells wonderful. Very happy with it!